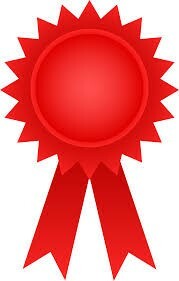 SAUSD is among 23 school attendance programs being recognized as model School Attendance Review Boards (SARBs) for outstanding strategies to reduce chronic absenteeism and increase student attendance. Read about Model SARB state honors, "Difference Maker" awards, OC Youth of the Year, $3,000 auto scholarships and more. Come join us for this year's 3rd-8th drade Summer Musical. 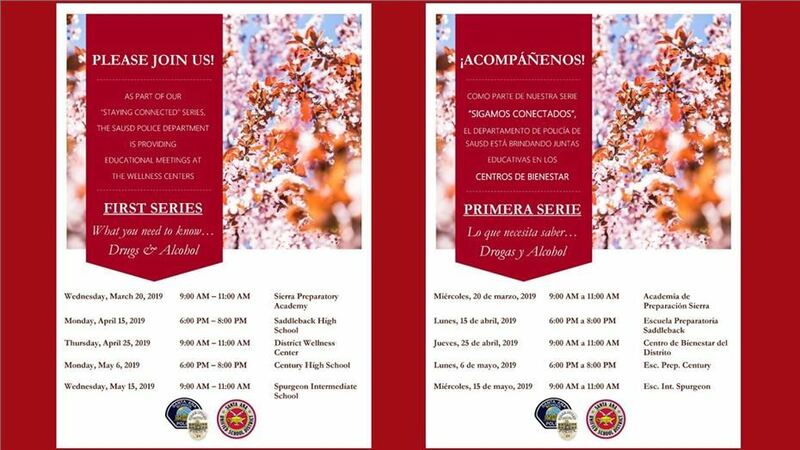 Open to all SAUSD students that will be entering 3rd to 8th grade in the 2019-20 school year. The program begins June 4, 2019 at 8:00 a.m. at SAHS. To learn more and to register, click here. Click here to watch videos on KinderCaminata 2019, Principal for a Day, Madison's "The Lion King," Employees of the Month and more. Read all about Spring Break, Speech & Debate accolades, the Third Annual Robotics Challenge at Lathrop Intermediate, Elks scholarships, the summer learning resource fair and more. 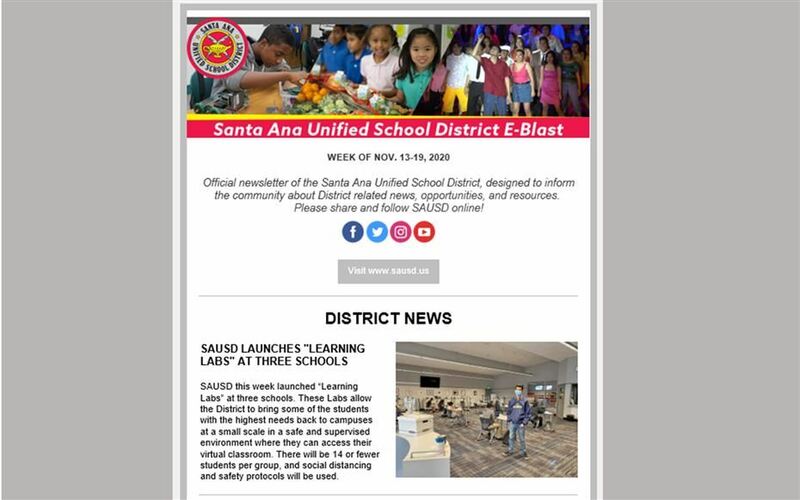 The E-Blast keeps the Santa Ana Unified School District Community informed of district and educational information, recognitions, opportunities, and resources. 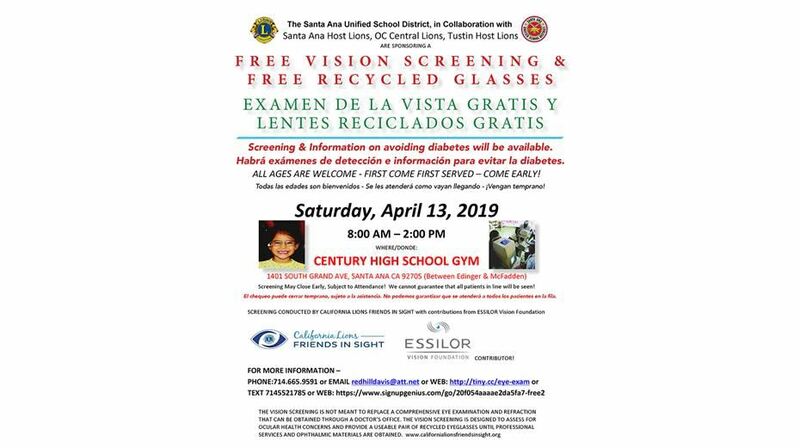 SAUSD is working with Lions Clubs to provide free vision screenings & recycled glasses on April 13, 2019 at Century High School. The SAUSD Police Department is providing educational meetings on drugs and alcohol as part of its Staying Connected Series. 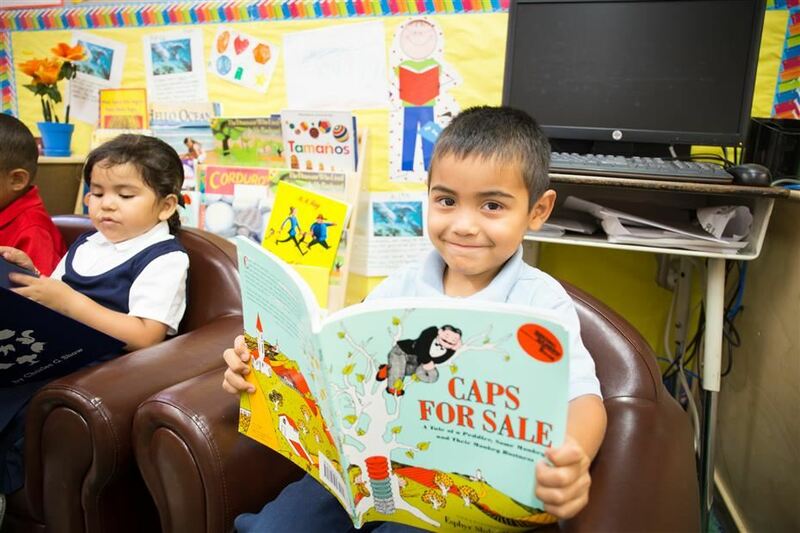 SAUSD offers full and partial day programs. Learn more about our preschool offerings here. SAUSD has produced a video for staff on preparing for active shooter situations. Run. Hide. Fight.